This is the foreword to the second edition of Paul Burkett, Marx and Nature: A Red and Green Perspective (Haymarket, 2014). Every book more than a few years old needs to be seen within the historical context in which it was written—works of social science most of all. Re-reading Paul Burkett’s Marx and Nature today, nearly a decade and a half after its first publication, reminds me of how different in some respects the historical context was then, at the end of the twentieth century, from what we face today, in the second decade of the twenty-first century. Fifteen years ago the idea of a planetary ecological crisis still seemed fairly new and was being discussed by a relatively small number of environmentalists and scientists. Global warming was a world issue, but seldom hit the front page. Nowadays climate change is part of our everyday lives everywhere in the world—and history seems, if anything, to be accelerating in this respect. A decade and a half ago the contribution of Marx and Marxism to the understanding of ecology was seen in almost entirely negative terms, even by many self-styled ecosocialists. Today Marx’s understanding of the ecological problem is being studied in universities worldwide and is inspiring ecological actions around the globe. Marx and Nature had both a negative and a positive character and it was the negative aspect that stood out at first. Thus it was known at the outset more for its negative refutation of prevailing views than for its positive affirmation of Marx’s ecological praxis. In the opening page of the book, Burkett referred to three common criticisms of Marx’s approach to nature that he proceeded to refute in his book: (1) the claim that Marx primarily advanced productivist or “Promethean” notions aimed at the conquest of nature; (2) the view that Marx’s political economy, and especially the labor theory of value, downgraded nature’s contribution to production; and (3) the idea that Marx’s analysis of the contradictions and crises of capitalism had nothing to do directly with the natural conditions of production. In all of this Burkett was responding to what could be called first-stage ecosocialist analysis.4 Although contributions to ecological thought within the Marxist tradition have existed since the beginning—going back to Marx himself—ecosocialism, as a distinct tradition of inquiry, arose primarily in the late 1980s and early ‘90s under the hegemony of green theory (and in the context of the crisis of Marxism following the downfall of Soviet-type societies). The general approach adopted was one of grafting Marxian conceptions onto already existing green theory—or, in some cases, grafting green theory onto Marxism. Thinkers such as André Gorz, Ted Benton, James O’Connor, Alain Lipietz, and Joel Kovel, stood out in this respect for their important contributions to ecosocialist analysis.5 Nevertheless, the problem with all such approaches from a socialist perspective was that they did not constitute genuine critiques (the passing through and transcendence) of prevailing environmental thought, nor did they systematically explore the radical roots of Marxian theory itself in order to build on its own materialist and naturalist foundations. Rather they commonly adopted various ad hoc means of bridging the gap between the red and the green (such as O’Connor’s inspired introduction of the concepts of “conditions of production” and the “second contradiction of capitalism”). Burkett’s Marx and Nature was written as a refutation of such first-stage ecosocialist views by means of a reconstruction and reaffirmation of Marx’s own critical-ecological outlook. Marx and Nature thus represented the rise of a second stage of ecosocialist analysis which sought to go back to Marx and to uncover his materialist conception of nature as an essential counterpart to his materialist conception of history. The object was to transcend first-stage ecosocialism, as well as the limitations of existing green theory, with its overly spiritualistic, idealistic, and moralistic emphases, as a first step in the development of a more thoroughgoing ecological Marxism. An opposing point of view [to those who condemned Marx outright as anti-ecological], recently argued by Marxists such as John Bellamy Foster and Paul Burkett, energetically contests the indictment, and holds that Marx, far from being Promethean, was a main originator of the ecological world-view. Building their argument from Marx’s materialist foundations, his scientific affinity with Darwin, and his conception of the “metabolic rift” between humanity and nature, Foster and Burkett consider the original Marxian canon as the true and sufficient guide to save nature from capitalism…. A close reading will show Marx to be no Promethean. But he was no god of any kind, either…. Marxism today can have no greater goal than the criticism of Marx in the light of that history to which he had not been exposed, namely, of the ecological crisis. But what about Kovel’s criticisms of Marx himself in relation to ecology? 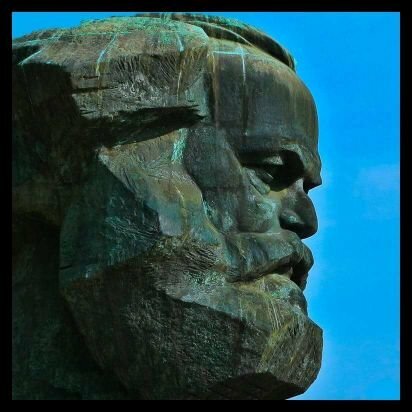 Was Marx seriously ignorant with respect to ecological crisis? Was nature, in his analysis, properly conceived as a mere external object to be “subjected” by labor? Did he view nature as “passive” and inert, a mere “natural substratum”? 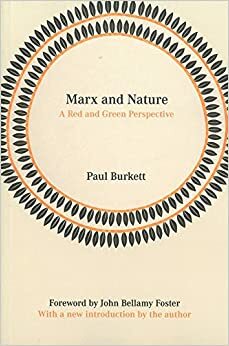 Nevertheless, the fact that the basic analysis of Marx and Nature has now been widely affirmed by scholars does not make Burkett’s work any less valuable to us today. Nor does it make it less important to continue to examine the works of Marx himself—or those of subsequent Marxists who can be said to have contributed to ecological thought. What it does suggest is that the significance of Burkett’s Marx and Nature, fifteen years after its first appearance, lies less in its negative critique of first-stage ecosocialism than its positive contribution to the urgent task of developing a socialist alternative to capitalism’s destructive ecology. The focus has thus shifted to what can be considered a third stage of ecosocialism research (the logical outgrowth of the second) in which the goal is to employ the ecological foundations of classical Marxian thought to confront present-day capitalism and the planetary ecological crisis that it has engendered—together with the ruling forms of ideology that block the development of a genuine alternative. It is a testimony to the power of Burkett’s contribution that others are now attempting to follow in his footprints, extending Marx’s socio-ecological dialectic and ecological-value analysis to the scrutiny of today’s environmental problems.20 We live in a time of great ecological peril, but we are also seeing a great flowering of socialist ecology and of more radical forms of environmental practice, particularly in the global South.21 Burkett’s work has made possible a kind of spiraling movement in which critics of the status quo are able to move back to Marx’s radical-materialist critique and then move forward again, newly inspired, to engage in revolutionary ecological and social praxis in the present. Mainstream environmentalism only describes the ecological crisis engendered by today’s society; the point is to transcend it. ↩John Bellamy Foster, Marx’s Ecology (New York: Monthly Review Press, 2000), ix. Burkett and I corresponded and inspired each other throughout the 1990s. While he was developing Marx’s ecological-value analysis I was working on the concept of metabolic rift. See John Bellamy Foster, “Marx’s Theory of Metabolic Rift,” American Journal of Sociology 105, no. 2 (September 1999): 366–405. In both areas our work overlapped. ↩It is a testimony to the power of Burkett’s analysis that it gave centrality to the concept of value form, a category that has come to be regarded as increasingly central to the interpretation of Marx’s value analysis. Part of this was due to the influence of I.I. Rubin’s work on Burkett’s thinking as well as Burkett’s own deep appreciation of the logic of Marx’s analysis. On this see Burkett, Marx and Nature , chapter 3; also I.I. Rubin, Essays on Marx’s Theory of Value (Detroit: Black and Red, 1972), 107–23; Michael Heinrich, An Introduction to the Three Volumes of Karl Marx’s ‘Capital’ (New York: Monthly Review Press, 2012), 52–64. ↩Here it should be mentioned that a brilliant precursor of Burkett’s analysis of the ecological implications of Marx’s value analysis was to be found in Elmar Altvater, The Future of Money (London: Verso, 1993). Altvater, however, stopped short of a systematic development of Marx’s analysis in this area. 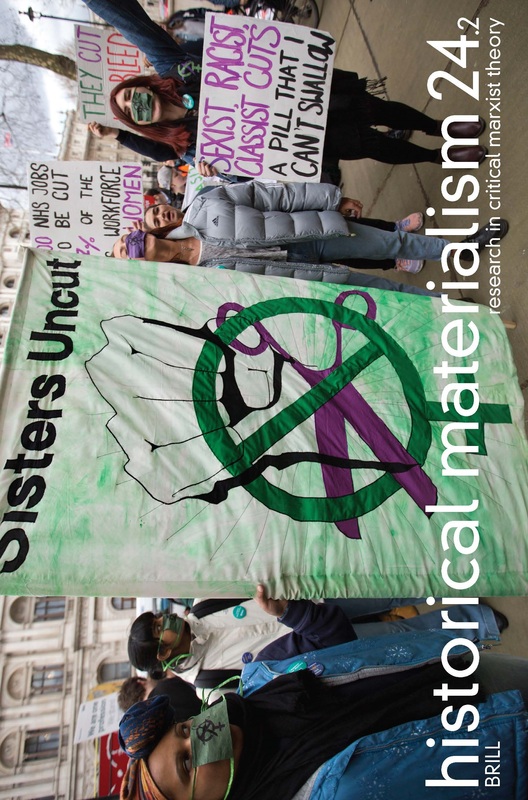 ↩The discussion of first-stage and second-stage ecosocialism in this and the following paragraphs draws on John Bellamy Foster, “Environmental Politics: Analyses and Alternatives” (a review), Historical Materialism 8 (Summer 2001): 461–77. See also Paul Burkett, “Two Stages of Ecosocialism? : Implications of Some Neglected Analyses of Ecological Conflict and Crisis,” International Journal of Political Economy 35, no. 3 (Fall 2006): 23–45. ↩See André Gorz, Capitalism, Socialism, Ecology (London: Verso, 1994); Ted Benton, “Marxism and Natural Limits,” New Left Review 178 (November–December 1989): 51–86; James O’Connor, Natural Relations (New York: Guilford Press, 1998); Alain Lipietz, “Political Ecology and the Future of Marxism,” Capitalism Nature Socialism 11 (2000): 69–85; Joel Kovel, The Enemy of Nature (London: Zed, 2002). ↩Gorz, Capitalism, Socialism, and Ecology , vii, 29; Lipietz, “Political Ecology and the Future of Marxism,” 74–75. ↩Raymond Williams, Problems in Materialism and Culture (London: Verso, 1980), 185, 106–14. ↩Kovel, The Enemy of Nature , 210–11. ↩Kovel, The Enemy of Nature , ix. In a similar way, An Ecosocialist Manifesto , authored by Kovel and Michael Löwy in 2001, sees ecosocialism as the heir to what it calls “first-epoch socialism,” http://iefd.org. ↩Georg Lukács, History and Class Consciousness (London: Merlin Press, 1971), 1. ↩In addition to Burkett’s Marx and Nature , particularly chapter 9, see Foster, Marx’s Ecology , 141–77, and John Bellamy Foster, “Capitalism and the Accumulation of Catastrophe,” Monthly Review 63, no. 7 (December 2011): 1–17. ↩Karl Marx and Frederick Engels, Collected Works (New York: International Publishers 1975), vol. 30, 63. The interpretation of Marx’s materialism offered by Sebastiano Timpanaro that suggested that Marx saw nature as “passive” and denied its active principle was strongly criticized in Foster, Marx’s Ecology , 258. ↩Karl Marx, Capital , vol. 1 (London: Penguin, 1976), 290. ↩Marx, Capital , vol. 1, 638. ↩Marx and Engels, Collected Works , vol. 30, 63. ↩Karl Marx, Capital , vol. 3 (London: Penguin, 1981), 911, 959. ↩See, for example, Hanna Wittman, “Reworking the Metabolic Rift: La Via Campesina, Agrarian Citizenship, and Food Sovereignty,” Journal of Peasant Studies 36, no. 4 (October 2009): 805–26. ↩Paul Burkett, Marxism and Ecological Economics: Toward a Red and Green Economy (Chicago: Haymarket,  2009), vii. ↩Paul Burkett, “Marx’s Vision of Sustainable Human Development,” Monthly Review 57, no. 5 (October 2005): 34–62. ↩See, for example, Jason W. Moore, “Transcending the Metabolic Rift,” Journal of Peasant Studies 38, no. 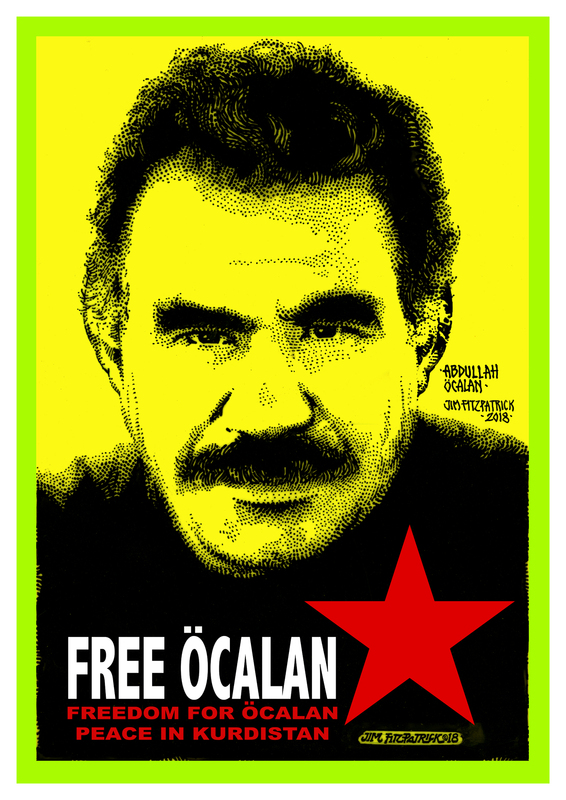 1 (2011): 1–46; John Bellamy Foster, Brett Clark, and Richard York, The Ecological Rift (New York: Monthly Review Press, 2010); John Bellamy Foster, “The Ecology of Marxian Political Economy,” Monthly Review 63, no. 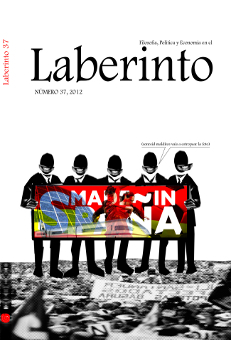 4 (September 2011): 1–16; Ariel Salleh, “From Metabolic Rift to ‘Metabolic Value,’” Organization and Environment 23, no. 2 (2010: 205–19; and Chris Williams, Ecology and Socialism (Chicago: Haymarket, 2010). 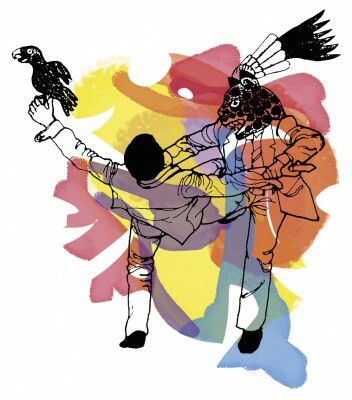 ↩A high point here was the 2010 Peoples’ Agreement in Bolivia, reprinted in Fred Magdoff and John Bellamy Foster, What Every Environmentalist Needs to Know About Capitalism (New York: Monthly Review Press, 2011), 145–58.